Quite simply one of THE best beach holidays around – so good in fact, that we bought into Bijoux personally so that we can have our annual holiday here every summer! with crystal clear water and powder-soft white coral sand and with untouched rain forest forming a stunning backdrop, this is one of the most gorgeous beaches we’ve ever seen! 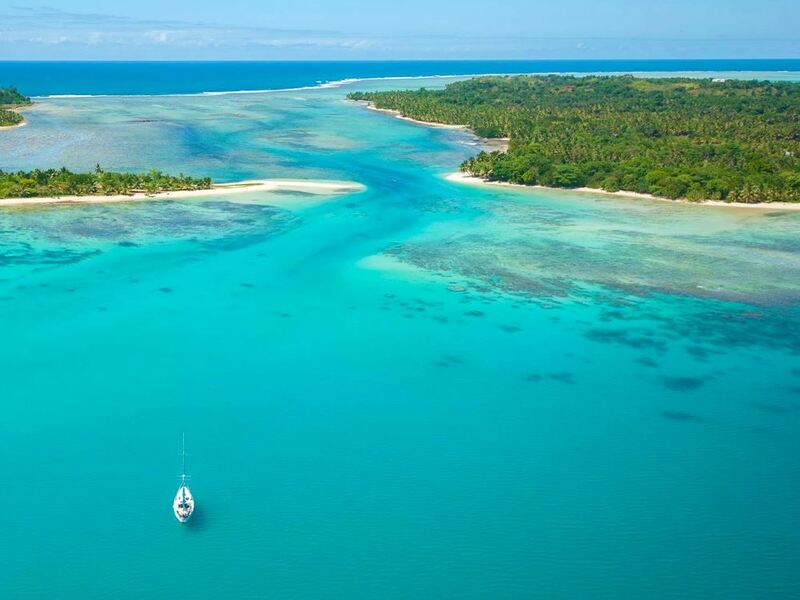 The charming and stunningly beautiful little island of Ile aux Nattes has to be the best kept secret in the entire Indian Ocean, and the Bijoux Villas – two gorgeous villas with 4-bedrooms each (all of them en-suite) and your own private chef – are unquestionably the finest accommodation available on the island! At this point we have a disclosure to make: we as owners of Barefoot Breaks love both Ile aux Nattes and Bijoux so much that we’ve actually bought a couple of month’s ownership at one of the villas and this is where we spend our own annual holiday every December! Bijoux has been developed by Ockie Snyman – the South African who has been resident on the island since the early 90’s and who previously ran La Petite Traversee lodge. He built these 2 stunning villas on the northern-western tip of the island along a superb stretch of white coral sand beach and then sold them on a fractional ownership basis – the good news for those people not lucky enough to own a stake though, is that the villas are available to rent when the various owners are not in residence. The 2 identical villas are absolutely beautiful (even if they’re almost impossible to photograph nicely as they are literally hidden away in a patch of tropical forest right on the edge of the beach!) Each villa boasts 2 master bedrooms – stunning spacious rooms that open out directly onto the white sand beach – as well as 2 smaller twin bedrooms suitable for kids. One of our favourite things is to wake up in the morning and lie on the massive (and hugely comfortable) king size bed with the large French front doors open, whilst watching Ile aux Nattes’ equivalent of their “morning traffic”: the procession of traditional wooden pirogues being poled gently past in front of the villa! Another highlight of these 2 front bedrooms are the attractive open showers opening out onto a lovely small private walled courtyard garden filled with ferns and orchids. Whilst the 2 front bedrooms are perfect for adults, the 2 smaller bedrooms are equipped with twin beds and so ideal for the kids. One of them is part of the main house, whilst the other stands alone a little behind the main house and is the perfect teenager’s pad. Each of the bedrooms is en-suite with solar-heated showers. The mattresses and linen are top-notch (a rarity in many of the Madagascan lodges) with quality mosquito nets ensuring a good night’s sleep (whilst also pushing up the romance factor!) Finishes are rustic but extremely attractive and totally in keeping with the whole island vibe. And another bonus is that the villa is serviced and the beach swept clean daily by a couple of friendly local staff so you scarcely have to lift a finger other than pour your own drinks! One of the best parts about staying at Bijoux is that the 2 villas also boast their own resident chef, the very talented and eternally cheerful local islander Thierry, who serves up absolutely delicious meals every day without you having to lay a foot in the kitchen! Breakfasts are usually simple affairs of fruit platters and a choice of pastries, delivered fresh by the island’s croissant man, whilst eggs are also available. The highlight is at night, when Thierry conjures up consistently excellent meals with fresh seafood the star (including superb lobster in season) – this is simple, no-frills, home cooking-style food but no less delicious for that as Thierry has the knack of judging when the seafood is perfectly cooked spot on! Lunches aren’t included at Bijoux, but frankly that’s part of the appeal of staying on Ile aux Nattes, where you have a daily choice to make as to which of the charming little restaurants that dot the island to frequent for lunch! 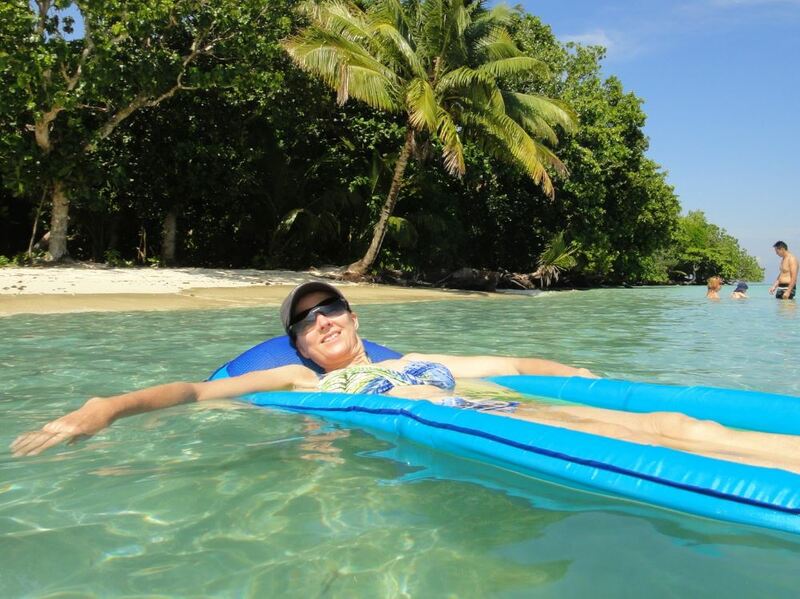 Holidaying at Bijoux you can spend your days doing as little or being as active as you like. Our usual daily routine is to head for the beach after breakfast. The beach on the northern tip of Ile aux Nattes is literally around the corner from Bijoux and has been rated one of the top 10 in the entire Indian Ocean. It’s wonderfully unspoiled and uncrowded, with crystal clear water and powder-soft white coral sand and with untouched rain forest forming a stunning backdrop – this is one of the most gorgeous beaches we’ve ever seen in the course of our travels and the perfect spot for spending a good few hours each day just lazing about on a lilo in the balmy water, swimming or perhaps tossing a Frisbee around. Otherwise there’s snorkeling (the best snorkeling on the island is on the coral reef literally 100 metres off Bijoux); kayaking on the villa’s kayaks; exploring the island on foot along the sandy paths (there are no roads and hence no cars on Ile aux Nattes) perhaps visiting the old lighthouse; or take a pirogue trip around the island, stopping wherever you fancy for a swim or snorkel. Otherwise you can make the short crossing to St Marie where there are a host of activities available including hiring a quad bike or scooter to explore the island, visiting the market in the main town of Ambodifotatra or (our favourite!) heading for nearby Princesse Bora lodge for a superb (and very reasonably priced) massage at the excellent Spa there! After a busy morning in the sun, it’s then off to find a restaurant to enjoy a lazy lunch after which we usually return to Bijoux for an afternoon zzzzzz before rising for a late afternoon paddle, swim or game of boules, followed by sundowners and dinner. Then simply rinse and repeat the next day and for the rest of your holiday! 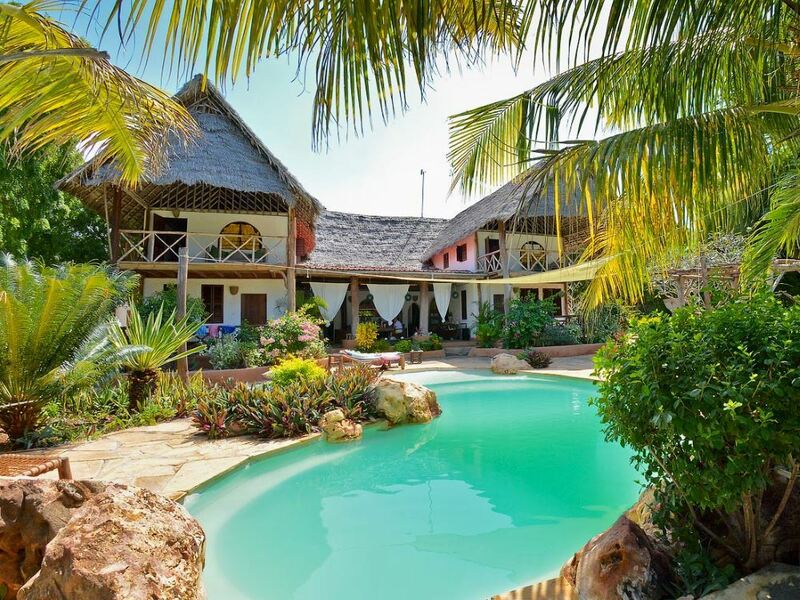 Traditionally styled villa on the beach at Matemwe on Zanzibar's fabled north-east coast - your group of friends and family will be completely spoiled by your private chefs and friendly butlers!